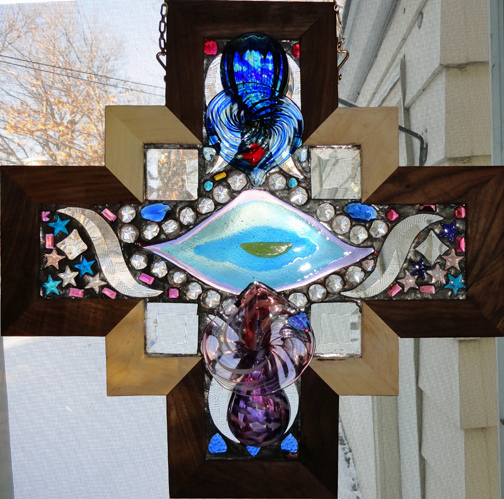 The Cross of Awakening framed in walnut and maple has two hand blown glass art pieces from an artist on Cape Cod. The center eye within an eye within an eye is the first fused glass art we made in our new kiln. Make an offer plus shipping.